Electrical, optical and structural assessment of materials. Characterisation and diagnosis of photovoltaic cells. The techniques used in these analyses not only permit an integral characterisation of the device from the viewpoint of its operation faced with solar radiation, but also the possibility of assessing the intermediate stages of the manufacturing process, with a view to achieving an optimal yield in the cells. Knowing the techniques and having the capacity to interpret the results permits the LCMC to define a “photovoltaic cell assessment protocol” that provides information on yield, weaknesses and areas of improvement. Versatility to reproduce the different processes: doping, chemical attack, anti-reflectant layer, metallisation, standard transfer, etc. Possibility of determining critical parameters and optimal conditions for each one of the individual processes. 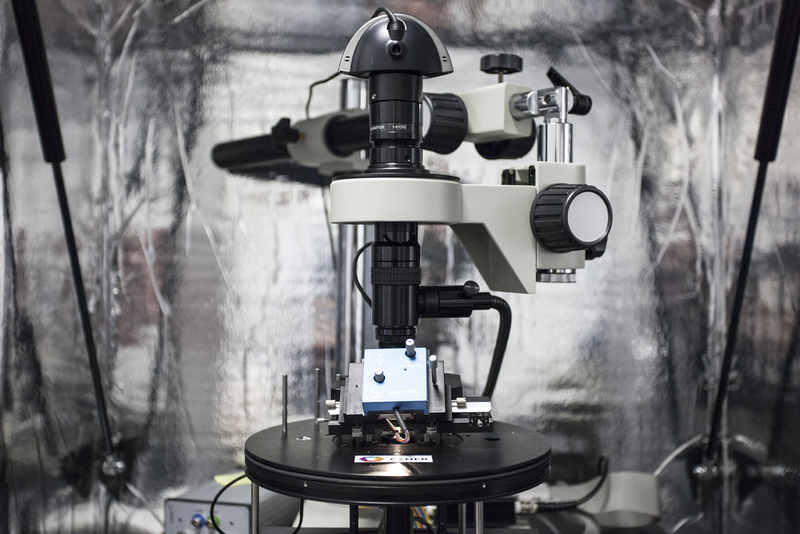 Capacity to research new silicon materials for photovoltaic application. Methodology to study the mechanical property of thin silicon wafers. 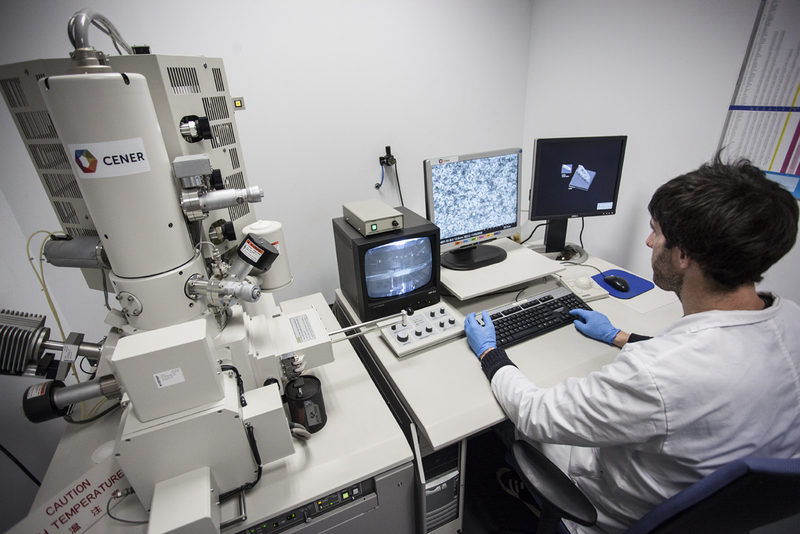 The equipment of this laboratory permits working on mono- and multi-crystalline wafers of up to 15 cm x 15 cm in size. The characterisation techniques can be applied to these sizes, so it is not necessary to destroy the sample to analyse it. 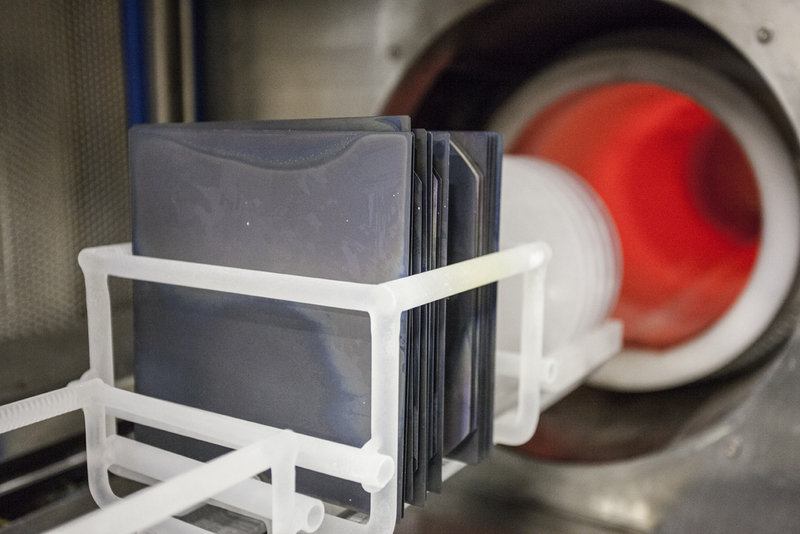 The sizes used for thin film techniques are 15 cm x 15 cm, and also 20 cm x 30 cm in some processes. Technical advice on the implementation of production lines: cost analyses and alternatives. Generation of low-cost absorbent material for photovoltaic cells. Development of new cell manufacturing technologies. And the relative critical process parameter control techniques (thickness, film resistance, refraction coefficient, etc.). 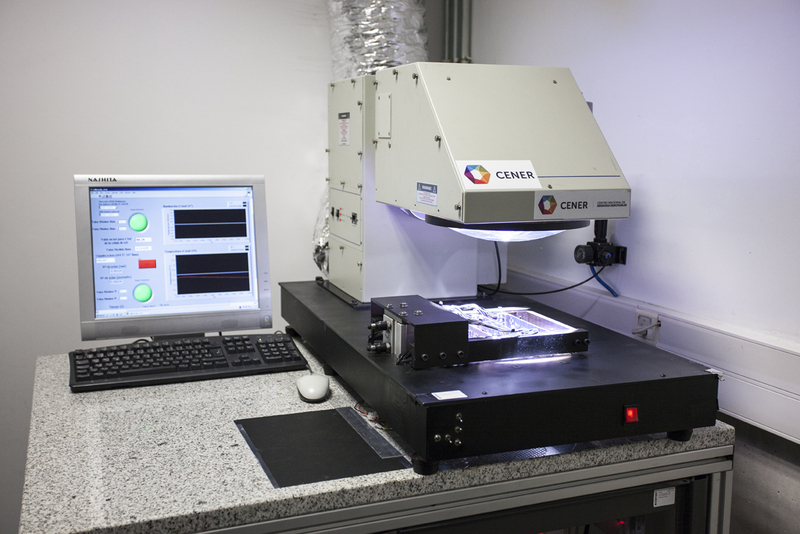 To support the wafer-based photovoltaic cell production processes, the laboratory also has in-house designed equipment to assess the mechanical characteristics of the wafers depending on their process conditions and thickness. In all the cases, the experimental results are verified and in some cases, they are planned based on software applications to simulate mechanical conditions or devices.